God’s passion is for us to enjoy a long healthy life. He has lavished upon us, life bursting natural provisions yet the general state of our health is disturbing. 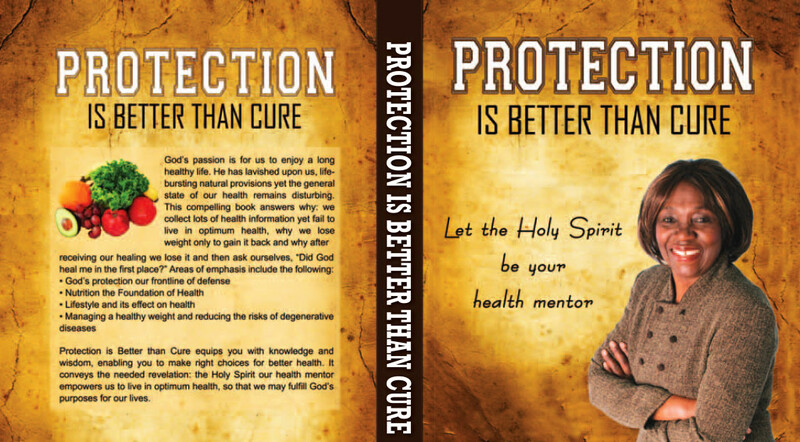 This book conveys the needed revelation: the Holy Spirit our health mentor empowers us to live in optimum health, so that we may fulfill God’s purposes for our lives. Why are so many Christians not walking in divine health? The Holy Spirit God’s representative on earth? Are you a good steward of God’s temple? Who is in charge of your health? Problems of sleep deprivation, How much sleep do we need? What are the benefi ts of physical activity? Toxin invasion, Why pay attention to the warning signals? What is juicing? What are the benefi ts of juicing? type of water you drink? Enzymes: Why are enzymes important? What nutrition do plant foods provide? The Microwave: Could it be destroying your health? Are you over restricting your good fats? Who needs to take dietary supplements? Are larger food portions sabotaging your goal? You already know thus significantly with regards to this matter, produced me for my part believe it from a lot of numerous angles. Its like women and men aren’t involved except it’s something to accomplish with Lady gaga! Your individual stuffs great. Always handle it up! Wow, amazing weblog layout! How long have you ever been blogging for? you made running a blog glance easy. The total glance of your web site is magnificent, let alone the content material! Thank you. I am sorry I did not respond faster. Which post were you referring to? Hello there, I found your web site by the use of Google while searching for a related matter, your web site got here up, it seems good. I have added to favourites|added to bookmarks. Thank you. I am looking forward to seeing you again. These negative effects is there as a consequence of non adjustment in the body towards the drug. But the food companies and fastfood restaurants are available us a bill of merchandise using their advertising, similar to the tobacco companies they may be virtually only concerned with the bottom line and present lip service only, to the health problems with their products. Some experts and sociologists claim that inside the bigger scheme of things, the world won’t tolerate a discovery of these magnitude, any further of computer would be realistic to anticipate a motor vehicle that runs using water (even though very real) to ever become commercially accessible for the public for day-to-day use.